produces 8.3 million distinct pixels for 4K UHD performance without panel-related artifacting, striking a perfect balance of high brightness from revolutionary Philips ColorSpark™ HLD LED technology and cinema-accurate colors from BenQ-exclusive CinematicColor™ Technology. Delivering the ultra-wide DCI-P3 color gamut to authentically capture the director’s original vision to rival the picture quality of a commercial digital cinema, X12000 generates stunning 50,000:1 dynamic contrast for an ultra-realistic widescreen film viewing experience. With intelligent functionality and installation flexibility, X12000 is comprehensively equipped to integrate seamlessly into any upscale home cinema. 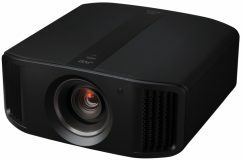 Generating 8.3 million razor-sharp pixels, X12000 combines revolutionary high-brightness LED and BenQ-exclusive CinematicColor technologies to reach the ultra-wide DCI-P3 color gamut for perfect DLP picture quality to rival a commercial digital cinema with seamless integration into any home screening room. X12000 harnesses the advanced DLP 4K UHD DMD with 2716 x 1528 (4.15 million) micromirrors to achieve Consumer Technology Association’s (CTA) 4K UHD specification, utilizing XPR fast-switching technology via dual-position precision optical actuator with state-of-the-art image processing to double the resolution, reaching 3840×2160 with 8.3 million distinct pixels for each frame, four times the resolution of Full HD 1080p. Awe-inspiring 4K UHD image quality reduces blur between pixels to deliver supreme clarity and crisply defined fine details. With single DMD DLP technology to avoid inherent alignment issues of multiple panels, X12000 presents image integrity and accurate color, especially important with ultrafine 4K pixels much smaller than 1080p pixels. X12000 generates razor-sharp images and accurate colors devoid of artifacting such as blur, shadowing, and interference patterns for immaculate clarity. With class-leading lens architecture, X12000’s optical engine is specifically designed for spectacular 4K image quality, offering True Zoom function and presenting the best viewing quality with flawless optics. X12000‘s True Zoom system adjusts automatically to follow focus adjustments, optimizing the zoom ratio to deliver visually perfect focus without blemish. The three focusing lens groups adjust simultaneously with the zoom lens group to negate any curved field for immaculate cinematic performance and high-precision clarity at every corner of the image. 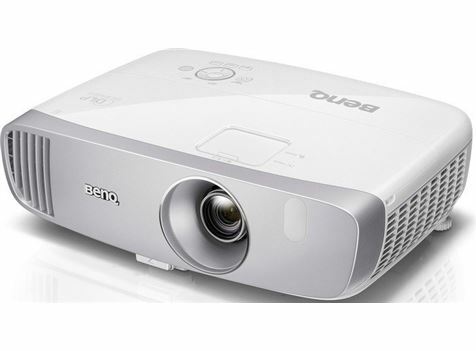 Striking a perfect balance between high brightness and cinematic color, BenQ X12000 combines pioneering new LED technology and world-exclusive innovative CinematicColor Technology to deliver the DCI-P3 color space. Compared with current LED technology , Philips ColorSpark HLD LED technology not only provides a wide color gamut for color quality, but provides up to 3X brighter front-of-screen performance. Channeling powerfully pure green light 4X as bright as conventional green LEDs from the advanced High Lumen Density phosphor module in tandem with high-brightness red and blue LEDs, ColorSpark HLD LED Technology dramatically raises brightness, helping X12000 generate 2,200 lumens for use in bright environments and well-lit rooms. With 20,000-hour long maintenance-free lamp life and instant on/off response, X12000 delivers long-lasting cinema enjoyment with new LED technology for both powerful brightness and breathtaking color gamut. Harnessing the wider color gamut and higher brightness of ColorSpark HLD LED technology, X12000 employs BenQ’s industry-exclusive CinematicColor Technology to produce the expansive DCI-P3 color gamut, which equals the high standards of commercial digital cinema. The combination of ColorSpark HLD LED technology and proprietary BenQ CinematicColor Technology accurately reaches the superwide DCI-P3 color range, significantly greater than the Rec. 709 HDTV color gamut. As defined by the American film industry, DCI-P3 provides far more colors covering a significantly larger portion of the visible spectrum for vibrant cinematic color performance unattainable with lesser color specifications. With DCI-P3, X12000 perfectly reproduces authentic cinematic quality with both intense brightness and precise color accuracy as the director originally intended. 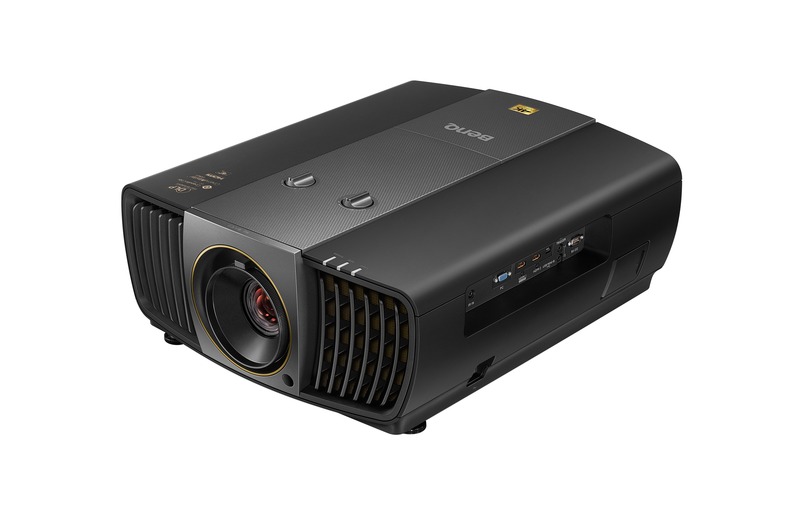 As one of the most important characteristics that determine the picture quality performance, native ANSI measures the ability of projectors to produce extreme levels of brightness and darkness. Generating industry-leading levels of high native ANSI contrast ratio performance, X12000 produces clearly deep, true blacks and resolves subtle layers and fine details in dark and bright scenes without washout. BenQ takes extra countermeasures to guard against the small possibility of stray light leakage from the light tunnel affecting contrast and obscuring fine details, a special black paint seals the X12000 light engine to boost contrast and render even the slightest details in the darkest scenes. X12000 maintains accurate gamma correction to deliver the perfect brightness balance for fine details and shading, with smooth greyscale performance to prevent overexposed bright scenes and preserve every subtlety in dark areas. X12000 strictly adheres to ideal color temperatures to ensure true-to-life, cinematically accurate colors throughout every scene of any film. 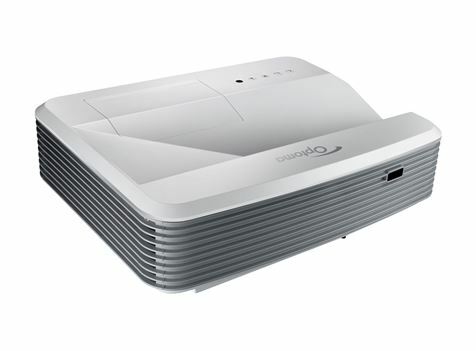 BenQ’s pioneering Total Inner Reflection (TIR) optical system utilizes multiple prisms forming precise beam angles, dispersing light to reflect more uniformly from the Digital Micromirror Device (DMD) and register beautifully even color, brightness, and fidelity across the entire projected image. The result is pristine image quality without blemish across the entire big screen, with nothing to distract the audience from flawless cinema enjoyment. Pixel Enhancer 4K is a motion-adaptive edge enhancement feature that detects changes in color between an object and its background to produce sharp edges and precise surface textures. With anamorphic 2.35:1 cinema-wide format support, X12000 provides a truly immersive movie-going experience with expansive viewing angles befitting its grand cinematic performance. X12000 offers ultra-wide 2.35:1 aspect ratio with native support for anamorphic lenses enabling full-pixel cinemascope experiences, exactly as would be seen in a commercial digital cinema. X12000 is capable of filling an ultra-wide cinematic 2.35:1 screen by utilizing an optional anamorphic lens, for authentic digital cinema immersion in the original film format without distracting letterbox bars. X12000 opens a wider viewing angle to allow comfortable viewing seated close to the screen and to maximize the useable screen size within a given space, with a 55° viewing angle at 1.5X PH (picture height) for a 16:9 screen and a 48° viewing angle at 2X PH for a 2.35:1 screen. The ultra-detailed 4K UHD picture quality on a grand scale delivers a mesmerizingly immersive movie watching experience, with superfine pixel density to eliminate the “screen door” effect close-up. X12000 is styled with a thoroughly modern design to complement upscale home cinema, blending seamlessly into existing aesthetics without any need for renovation. X12000’s front-facing ventilation and sleek, simple design is suitable for subtle ceiling-mount, hidden, cabinet, or wall inset installations. The minimalist design blends into any existing interior design and creates flexible installation opportunities. X12000’s unobstructed port layout separates the power and video signal to eliminate interference without visible clutter, with enough buffer space clearance to accommodate thick high-quality cables and HDMI / power cable locks to hold them securely in place. Fitting perfectly into home cinemas and installation sites of any size, X12000 offers powerful, yet user-friendly adjustment tools for professional installations with ease. 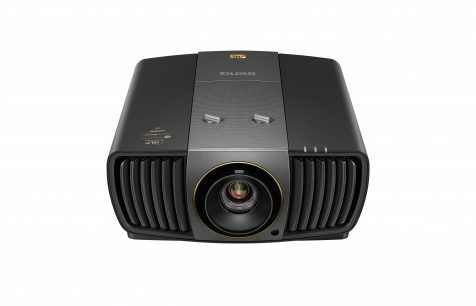 X12000’s lens can be shifted vertically or horizontally within the projector for a dynamic range of projection locations. The projected image can be moved up and down by 65% of screen height or left and right by 27% of screen width without sacrificing image quality for a custom installation in any room. 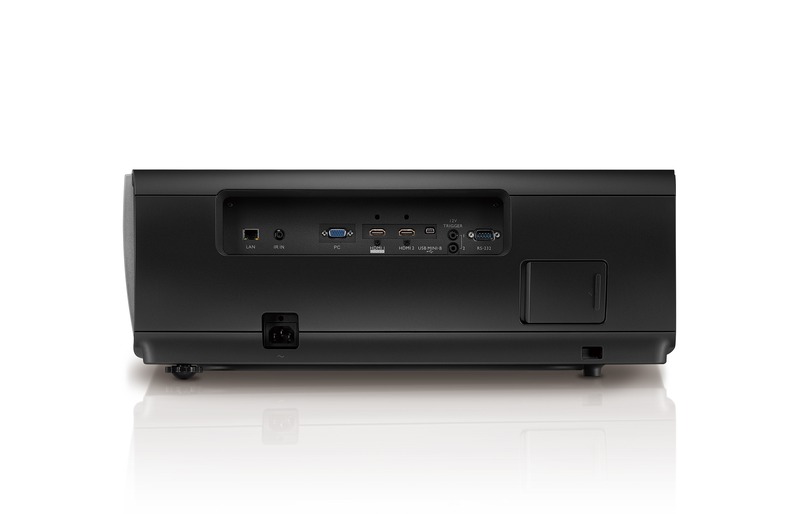 X12000 offers 1.5X big zoom for a wide range of throw distances to significantly increase installation flexibility for diverse mounting and placement options, turning any space into a truly inspirational home cinema. * ColorSpark is a trademark of Philips Lighting Holding B.V.
** Lamp life results will vary depending on environmental conditions and usage. Actual product’s features and specifications are subject to change without notice.